Get ready for more busting to begin. Today, Science Channel announced their upcoming MythBusters reboot will premiere in November. The revival will feature new hosts Brian Louden and Jon Lung as they “showcase their awesome talents by building and executing new experiments involving rocket powered swords, exploding gas tanks, airbag disasters and more.” The original MythBusters ended in 2016 after airing for 14 years on Discovery Channel. The new MythBusters premieres on Science Channel on November 15th at 9 p.m. ET/PT. (Los Angeles, CA) – MythBusters will explode back on to Science Channel this fall with all-new episodes and an all new-team. Brian Louden and Jon Lung, who earned the right to be called MythBusters by displaying killer build skills and science smarts during MythBusters: The Search, will showcase their awesome talents by building and executing new experiments involving rocket powered swords, exploding gas tanks, airbag disasters and more. The new 14-episode season of MythBusters will debut on Wednesday, November 15 at 9 p.m. ET/PT. 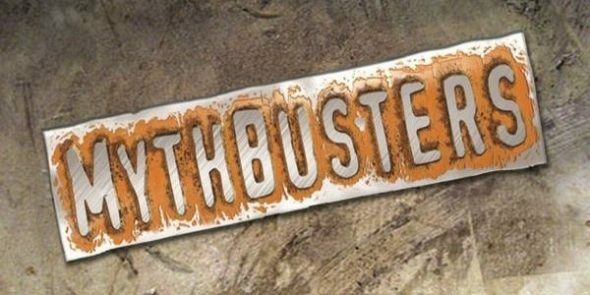 MythBusters made its television debut on Discovery Channel in 2003 and ended its fourteen-year run on the network in 2016. The series earned eight consecutive Emmy nominations for Outstanding Reality Program from 2009-2016. The program fuses scientific method with gleeful curiosity and plain old-fashioned ingenuity to create a signature style of explosive experimentation. Brian, who hails from Spring, Texas, is addicted to knowledge and whose curiosity and love of S.T.E.M. has guided him his entire life. Brian has a biology degree and extensive training and work in emergency medicine, he has done research at a body farm studying bacteria growth in human cadavers. He’s also been a drilling engineer in the energy business. At a young age, Brian built an air cannon out of PVC pipe and a small air compressor that could shoot hundreds of yards – quite an achievement until it exploded in the garage, putting a hole in the wall and a dent in his metal toolbox. His skills have vastly improved since with encouragement and knowledge from all his family and friends. A native New Yorker, Jon is a trained engineer and a product designer. From the moment he was hired to work in his undergraduate wood and metal shop, he knew he had found his eternal happy place. Ten years later Jon has found a way to keep working with his hands, whether it is designing and building furniture or generating concepts, prototypes and tests as a product designer. On the off chance you cannot find him in the shop, you will most likely find him running around junkyards, searching for interesting bits and doo-dads. What do you think? Are you a fan of MythBusters? Will you watch the reboot? More about: Mythbusters, Mythbusters: canceled or renewed?, Science Channel TV shows: canceled or renewed?